Based on the Italian word "SENZA" meaning to be "without", so too should athletes be "without limits." 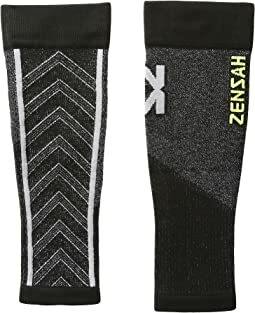 Zensah® was created to help athletes of all levels improve their performance and train without limits. Zensah® is dedicated to developing innovative products that wow and inspire every athlete to achieve their goals without limitation. 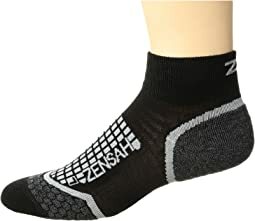 While other compression brands have taken medical compression and repackaged it to athletes, Zensah® has engineered advanced athletic compression technology. 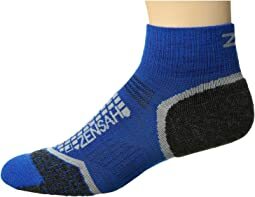 Zensah® is the pioneer of athletic graduated compression apparel and has designed revolutionary seamless true second-skin fit sportswear, giving athletes greater performance, comfort and mobility. 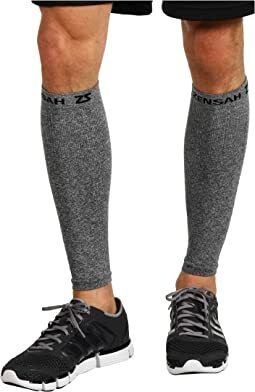 Zensah's® Compression Leg Sleeves are the number one selling leg sleeve in the United States. 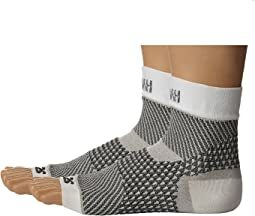 They feature graduated compression that helps to improve circulation, providing enhanced muscle recovery post-exercise and increased endurance during activity. 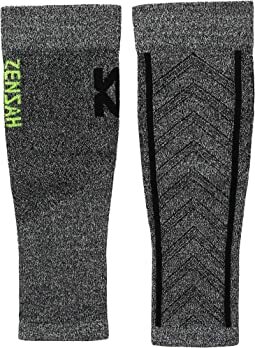 The pin-point compression found in each of the sleeves gives targeted support to help alleviate shin splints. 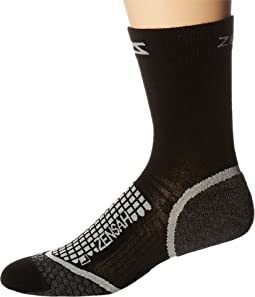 Zensah® Compression Socks make use of ProGrade Compression™ to enhance blood circulation and oxygen flow, increasing performance. 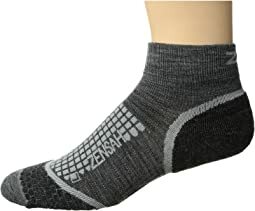 Zensah® compression products are made using a revolutionary seamless design consisting of an ultra-breathable, moisture wicking fabric that draws sweat away from the body, allowing the garment and athlete to stay cool, dry and light. If you are looking to improve your performance, train harder, run faster, and compete stronger, Zensah® is a must for all athletes! Good sock. Not too tight. No more tired legs. I work in the operating room and I’m on my feet all day. I have large than normal calves, but not cankles. These fit like compression socks should. They even stay up....ALL DAY. Also, they are slightly warmer than I was expecting! BONUS! I use these over my socks and shin guards for competitive soccer matches. 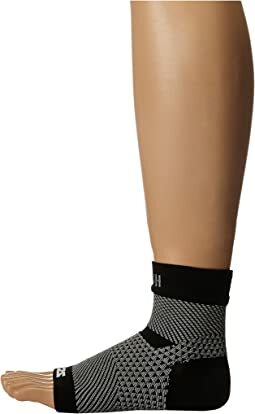 I am 5-11 about 200 LBs and the size M/L works great for me since I want them to fit tight so my shin guards dont move much. 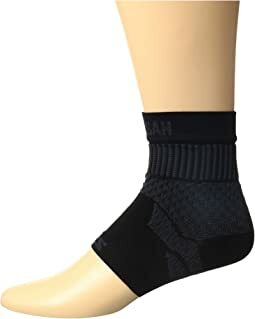 These work awesome for this purpose plus they are helping me keeping my calves warm and tight. I did a 6 miles on a match the other day and did not have to adjust my shin guards or mess with a week calf at all! These are great for use on airplanes, when compression can reduce risk of blood clots. I am actually very surprised and happy with these compression sleeves. I've been seeing Zensah competitors on Instagram for the last few months but have been reading really bad reviews. I figured the safest bet was to get these from Zappos. I made the right choice. Excellent quality. Excellent fit. 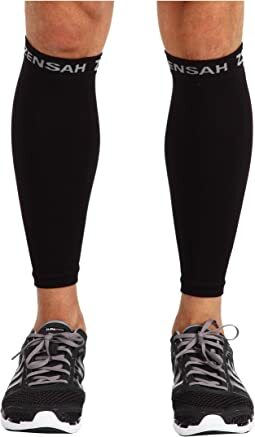 I have Popeye calves so I ordered L/XL (I'm only 5'8") and was worried they would be too long. They weren't! Just the right amount of compression. Wore them for the Baltimore Half Marathon. I got the neon yellow. I would totally recommend them! I put these on and my ouchy heel/foot stopped ouching! Only issue is that the ankle cuff is a bit tight. Sending back because they compress my toes. I got size Large that is says it is for women's 11.5 to 14. I wear size 11. The length is just barely enough, but they are narrow all the way through. I guess they expect your feet to stretch them to fit, but I have toe pain, and having my pinkie toe smushed in hurts after wearing just a minute - before even standing in them. 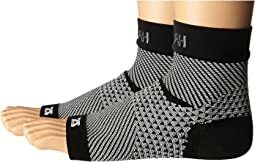 None of the reviews mentioned that the tightness is a problem, so if you are used to very constricting socks, these might work for you. Glad I made this purchase. 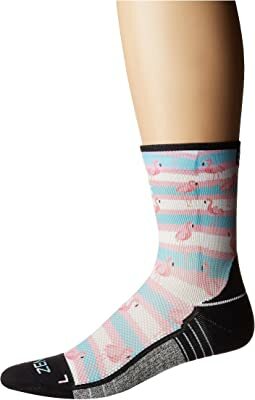 These socks are the only reason I can walk without pain. I have plantar fasciitis caused by high arches and inflexible arches/calves. 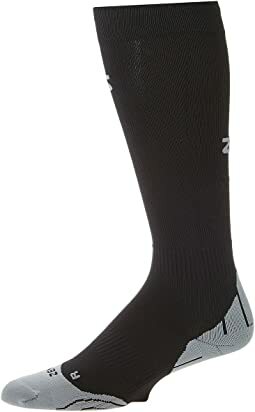 The socks provide instant relief if your feet are already hurting, and prevent swelling from getting out of hand. I have both the white color and the black color, and both look fine. 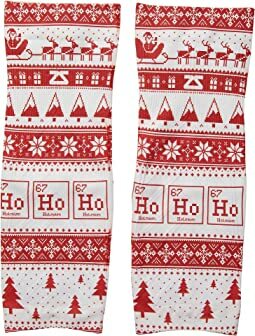 I ordered these for my trip to Europe and am sending them back without wearing them. My foot is 8.5, which wasn’t the issue. I’m a touch overweight but with average calves. (I know athletic women with comparable, if not larger, calf sizes.) 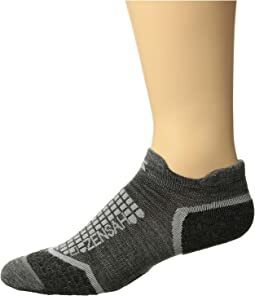 No stranger to compression socks, I do understand what they are meant to do. These, however, were near impossible to try on even one leg. And I honesty had concerns that my circulation was being cut off. While cute for something that is intended to be functional, these won’t offer what most normal or athletic people need or want. If you have a small/skinny calf, maybe this will work for you. Love it! I wear a footie under so it both serve as a pair of socks and support for my plantar fasciitis. I can walk all day without pain. I highly recommend it.